Arkadelphia, Arkansas – Deanna McCurdy (Littleton, Colo.) and Dane Baldini (Bentonville, Ark.) battled their way to overall titles on Sunday at the USA Triathlon Off-Road National Championships, held at DeGray Lake and Iron Mountain in conjunction with XTERRA Gator Terra. Similar to last year, massive rains mixed things up for the athletes. But unlike last year, the rain came on race day this time around. Athletes fought their way through rain, mud, thunder, and amazing single track as they completed a 1500m swim, 32km water-logged mountain bike, and a 10km trail run. This was another example of how off-road triathlon is not only competitor versus another, but competitor vs competitor vs the course. In total, twenty athletes captured age-group off-road national titles. The top 18 finishers in each age group, rolling down to 25th place after applying the age-up rule, qualify to represent Team USA at the 2018 ITU Cross Triathlon World Championships (the ITU calls off-road triathlon ‘Cross’ Triathlon). The top-20 off-road triathletes per age group in the USA Triathlon off-road triathlon annual rankings as of Dec. 31, 2017, will also qualify for the World Championships. The ITU Cross Triathlon World Championships will be held as part of the 2018 ITU Multisport World Championship Festival in Fyn, Demark, from July 6-14. 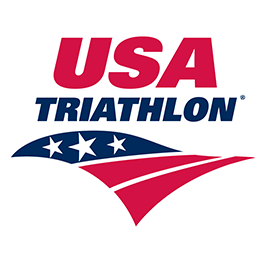 Team USA is comprised of the top age-group athletes who qualify to represent their country at the ITU World Championships. Visit usatriathlon.org/teamusa for more on Team USA. Deanna McCurdy was the top finisher for the women, clocking in at 3 hours, 5 minutes, 22 seconds to claim the overall win and the women’s 40-44 age-group title. She crossed the line more than 10 minutes ahead of Courtney Kaup (Richmond, Vt.), who placed second overall in 3:16:00 and successfully defended her women’s 35-39 title. Jane Zeigler (Tulsa, Okla.) rounded out the overall podium in third with a time of 3:18:04. Dane Baldini had the fastest time of the day, with a final time of 2:49:34. In addition to the overall title, he also claimed the top spot in the men’s 30-34 age group. Baldini finished nearly four minutes ahead of runner-up Ryan Terry (West Sacramento, Calif.), who took the men’s 35-39 title in 2:53:33. Marcus Barton (Waxhaw, N.C.) was third in 2:55:30, successfully defending his men’s 45-49 title. “All the stars aligned for this race. It was an all out slugfest. Rain, mud, heat, and humidity all made for a perfect recipe for an epic off-road triathlon. I stayed patient on the bike sitting behind what I thought was 2nd. I made my move with 5 miles to go, trying to catch 1st. After eating multiple spider webs, I realized I was chasing a ghost. Hit transition in 1st with a good gap and I still had the legs. So, I put my chips all in for the run. I was lucky to have pocket aces to come away with the win!” – Dane Baldini, Overall Winner. “It was an outstanding race. It rained the night before creating hero dirt and a fast course. A little over half-way through the bike it started POURING rain, complete with thunder. The single-track trail became a single-track river. It’s a true XTERRA with rocky, technical riding and running. Someone who can handle technicality through curvy, trails, will do good at this race.” – Marcus Barton, 1st place in the male 45-49 age category. “You had to close your eye while riding otherwise you would get too much mud in them. It hurt to much to keep them open. We were splashing through ankle deep water for 5 miles on the run.” – John Royson, 3rd place in the male 60-64 age category. Will Kelsay is one of the top cross triathletes in the world with a 10 year career spanning 5 continents competing in more than 18 countries. He has 20 career wins and more than 70 top 5 finishes. Anyone who has met him knows his passion for the sport is only overshadowed by his huge smile & his appetite for fun. BMC’s New Team Elite 01 – Revolution or Regression? DirtTRI.com is dedicated to the promotion and growth of off-road multisport. We aim to create expert, in depth content on all topics related to off-road multisport. If you have content you’d like to see, LET US KNOW. That’s the beauty of a business being run by and for off road multisport enthusiasts. You ask and we will do all we can to make it happen.